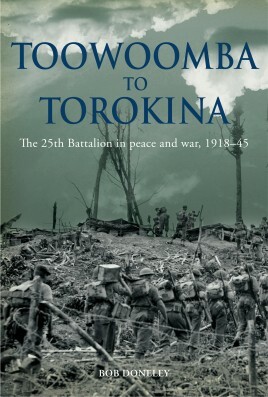 Toowoomba to Torokina traces the proud history of the 25th Battalion from the end of one war to end of the next. It tells the story of the men from Toowoomba and the Darling Downs who answered the call to fight a war that would threaten their country's very existence. Like their First World War predecessors, they fought a determined foe in hellish conditions with, as the Battalion's motto decrees, `Never a Backwards Step'. Bob Doneley was born in Warwick, Queensland and grew up in Brisbane. After graduating as a veterinarian he worked in private practice for nearly 30 years. IN 2010 he took up a position with the UQ School of Veterinary Science in Gatton. An experienced small animal vet, he is also a registered specialist in bird medicine.In 1978, as a first year uni student, Bob enlisted in the Army Reserve. 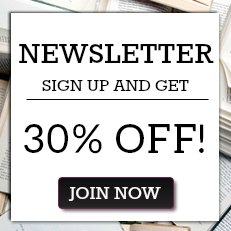 He served as an infantryman and infantry officer for the next 18 years in the Queensland University Regiment (5 years), the 9th Battalion Royal Queensland Regiment (2 years), and the 25th Battalion, Royal Queensland Regiment (11 years). He retired in 1996 as a major.Bob lives just outside Toowoomba with his wife of 27 years, Maree. Their children, Liz and Pat, are both university students in Brisbane.